It’s Tutorial Thursday! This is the day we learn how to emboss on vellum, window sheets, and glossy card stock. To color them you will need the Stampin’ Blends (alcohol markers). You can also emboss with powder and a heat tool but the blends bring a level of softness to the card. For a complete video on several other papers please go to https://youtu.be/HgP-mQQDgLs. It’s Tutorial Thursday! As I am getting ready for the Rubber Rummage Sale I am creating some easier projects. Today’s tutorial is on our monthly kit Paper Pumpkin. Remember, it doesn’t always have to be complicated. To see the video that highlights some of this kit as well as the Distinktive stamps please go to https://www.youtube.com/watch?v=EjKG_f9RfDQ. When a fraction becomes a whole. It’s Tutorial Thursday! Today I am only using part of a stamp to illustrate how to create a partial background and a simple card. Take a sponge, another stamp, or a sponge dauber to ink the background stamp. Then stamp away. To watch how this card is created please go to https://youtu.be/EjryTqRhhLs. It’s Tutorial Thursday! As it is almost St. Paddy’s Day I figured a shamrock card would be appropriate. It also breathes new life into those heart dies you bought for Valentine’s Day. Hint, hint. For complete instructions and a great video please go to https://youtu.be/U28cQmRlW6E. How to create a floating card. It’s Tutorial Thursday! Today I am going to show you how to create a floating card. Yes, floating. Since there are only four glue dots that you can see from the back it gives the appearance that the mats and sentiment are floating. Here’s the link to the video…https://youtu.be/4w5_b_PsBsc. How to make all the paper pretty. It’s Tutorial Thursday! Today I have a video on how to make even the Designer Series Papers you don’t particularly care for better. We all have that one sheet or pattern that is just not a favorite. So stamp over it. Emboss over it. Make it your own. Here is the video link on how this is done…https://youtu.be/ln_85b190P8. It’s Tutorial Thursday! The easiest way to create a 3D stencil is to grab your white or black (depends if the paper is light or dark), create a stencil with dies or punches, grab some ink, and a sponge. Sponge your neutral color first and then shift and sponge your color second. This will create a shadow effect for you. If you prefer to watch the instructions here’s the link for the video…https://www.youtube.com/watch?v=cbO5Dg_7Ly4. It’s Tutorial Thursday! I figured since it was Valentine’s Day instead of giving you another project to do I would introduce you to a new YouTube channel. Now I have my channel https://www.youtube.com/channel/UCTZYaEvaoc_I5-cQKvZuN5Q but there are many others. 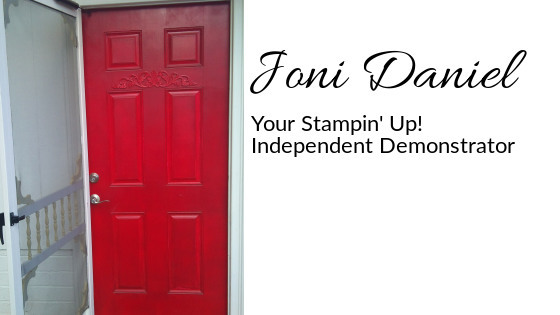 So I figured I would introduce you to the Stampin’ Up! channel. This particular project is really cute and since it is Valentine’s Day I figured you could use a project with some gift wrapping. Give it a look…https://www.youtube.com/watch?v=0-9ym4muIhk.